Peoples Voice Kerala Muslims as the Nava Panchamas ? / Governance / Kerala Muslims as the Nava Panchamas ? Kerala Muslims as the Nava Panchamas ? The past one week has vividly displayed the growing anti-Muslim worldview of a large section of the media and the entrenched communal elements in the state, proving Swami Vivekananda right once again in his alluding of Kerala as a lunatic asylum. This has got nothing to do with the political ambitions of the Muslim League which is corrupt like any other political party, self-serving and utterly stupid in understanding the social dynamics or in responding to them. NSS, BJP, a section of the Congress and the casteist media have anointed Muslims as the Nava Panchamas, the neo-untouchables, in the communal ambience generated by the opposition to the Muslim League demand for a one more ministerial berth. If we count the ministries of both the political fronts since the formation of the state, the share of Muslims who comprise 26 percent of the population has been less than 14, which represents a negation of the founding principle of the Constitution: equality. And Muslims have sacrificed millions of lives since the beginning of the 19th century to fight the colonialists, and particularly during and following the First War of Independence. And Muslims boycotted the British education and the colonial language as a mark of political protest. And they suffered not just from the ruthless onslaughts of the colonialists but also by exclusion from public life, as British education and English language came to dominate the public life, more so in the post-Independent period. This has subsequently been alleged as refusal to join the mainstream- a classic case of blaming the victims. This parade of ironies continues for Muslims. The media advocating for the Hindus have carefully submerged the fact that League was negotiating with its UDF partners as a constituent party with 20 MLAs; if Congress with 38 MLAs can have 11 ministers isn’t it fair that the League with more than half that number of MLAs should have at least half that number of ministers ? And about the level of representation of communities, how can one dare refuse the right of over a quarter of the population to be adequately represented while the Nair community constituting about 13% of the population has four ministers and the speaker. And, although about 27% of the Congress membership in Kerala is Muslims, no central minister has been selected from this community, neither in the current UPA govt or the previous Congress govts with the singular exception of Shri A A Rahim. None of the governors appointed from Kerala is from the Muslim community either. How skewed is the communal balance, one needs to seriously contemplate. This amounts to discrimination, in glaring violation of the founding principles of the Constitution, namely equality and fraternity. The State has multiple arms including the political executive, bureaucracy, judiciary, police… and the fourth estate too as the media would like to describe itself as. 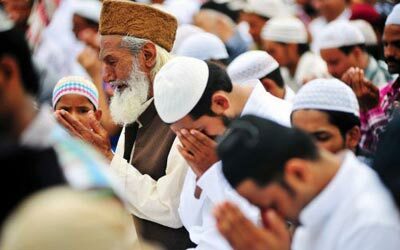 Historically Muslims have been grossly neglected in all segments of the state. In a democratic, multicultural society founded on the hallowed ideals of equality and fraternity it is a berth right of every citizen to feel included and represented. The multicolored rainbow that Kerala is must reflect in its public spaces this brilliant rainbow and not a monochromatic caricature. What I am referring to is the all powerful bureaucracy that runs our affairs. It is shocking that none of the 40 secretaries of govt is from the Muslim community, keeping it as untouchables, excluding it from the governance of the state! Yes, the issue of communal imbalance is central to our socio-political discourse, as it had been since the Malayali memorial. By expelling the ‘foreign’ Brahmins from govt service, new savarna caste has taken over and dominated government jobs and they refuse to democratize governance by playing every game to keep out the under-represented. And if we have a civil service that does not reflect the multi-cultural attribute of the society, there must be something gravely wrong in the system that deliberately fails the Constitutional objectives. And even when there is no single Muslim among the 40 plus government secretaries who truly rule the state, there is no alarm raised. No government at any time has paid attention to this gross under representation either. There are 3 secretaries directly appointed by the govt- law, legislature and science & technology- but even here the successive govts purposefully ignore the need to use these for at least marginally compensating for the communal imbalance. Since one third of the IAS, IPS and IFS are recruited from the state service based on the state govt recommendation, that gives one other opportunity for the amelioration of this imbalance but the successive govts pay absolutely no heed to this call. And this imbalance seldom comes up for discussion; the ‘dead horse’ does not care about these things either. How many experts from the Muslim community has been nominated as members of the Planning Board- now, in the past ministry and in the entire history of the Planning Board? Once again you find shocking communal imbalance, outright discrimination, institutionalized exclusion of the under-represented minority. The picture in the autonomous institutions funded by tax money but recruitments are made in arbitrary manner is shockingly the same. Take for example the case of organisations like Centre for Management Development or Kerala Institute of Local Administration, both of which have been under Muslim League rule for a large part of their life- there is hardly any Muslim representation. Will the champions of communal balance count how many attendants and drivers the seven research institutions under the science and technology department have? Hardly any. There is apartheid against Muslims in these institutions that are in shambles going by independent professional opinion. Shouldn’t we have our institutions reflecting the wonderful plurality of our society. How about the Energy Management Institute or the Institute of Management in Government, just for some more example. Appointments in such institutions are done on the recommendation of the kind of communal organisations where ministers and opposition leaders go and queue up for audience. A total failure of the democratic polity. And yet nobody talks about these even in these days of imbalanced talk. Nobody even talks about instituting legitimate recruitment guidelines for the autonomous institutions under the government or on the pressing need to hand the recruitment responsibility to the PSC. The Dalits and Adivasis are also equally untouchables in these institutions. It isn’t any different in the appointment of members and recruitment of staff in the umpteen cultural bodies. The media, the so called fourth estate, on which a lot of public money is spent- from subsidized imported newsprint to free bus/train travels for journos, is where this systemic exclusion is glaring. The four main print media belong to or are run by Nair, Ezhava, Christian and Muslim castes. Of these only the one run by Muslims have reasonable representation of other communities, while the ones owned/run by other communities hardly take on board Muslims. We don’t have a single Robin Jeffry in our state to talk about this. And the schools and colleges run on government money and owned by communities- here again there is gross exclusion of Muslims, not even attendants or sweepers from Muslim community are found in the colleges run by NSS that is now agitated about communal imbalance. In sharp contract we could challenge NSS leaders to go and see how balanced are the few publicly funded educational institutions run be Muslims. Communal imbalance is indeed the perennial issue here, our democracy must sit up and address the problem, instead of bringing forth khap panchayats to rule the state. As John Lennon has said they will provoke us in all possible ways, it is in our cause to refuse provocations of any sort, “because once they have got you violent, then they know how to handle you”. And we need to be alert about violence that would be generated by them to discredit us. For our strength is the Constitution of India, which they dislike or hate for it is founded on equality which they cannot accept, and it has founded a Republic and not a kingdom to be ruled by the former servants of the British regime, for it is democratic giving right unto the last citizen to participate in the governance of the country, for it is secular that rejects the imaginary and human gods any role in statecraft. And this Constitution is often violated with impunity including those whose job it is to uphold it. And upholding this Constitution we must seek justice. The current environment vitiated by communal forces and casteist media must be purified through alternative campaigns and more importantly by seeking through litigation in the courts and complaints to statutory bodies like the Human Right/ Minority Commissions, Press Council of India, etc on the recent public statements against the Muslim community by caste leaders and casteist media outlets. We must also nationalize the issue, for, there are public intellectuals and activists outside the state who hold a worldview based on a sense of justice and secularism, unlike the sponsored ones we have in Kerala. We must also disseminate information, especially among the unsuspecting Hindu brethren (for they are misled by the casteist media), about the gross inequality within the system as vividly brought out by the Sachar Committee Report and the Narendran Committee Report, among others.